Sony Corp. has unveiled its latest multiyear business plan, including spinning off its 36-year-old Walkman portable music player unit to cut costs, but it is unclear whether the reforms will be enough to secure growth. Kazuo Hirai, chief executive of the electronics and entertainment group, said Wednesday that Sony’s restructuring is on course and that the company is heading for a new phase of sustainable growth in which it will target sectors with high profitability rather than pursuing sales growth in markets where it faces stiff competition. 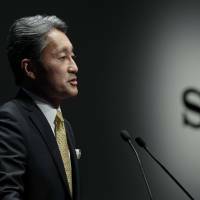 Sony “is heading in the right direction” three years after he took the helm and aims to be a “highly profitable company,” Hirai told a press conference, insisting that it will tackle reforms “without any fear” of criticism or failure. Under the new three-year business plan, Sony will separate its audio and video business into a wholly owned subsidiary as early as Oct. 1. The business includes the Walkman, whose debut in 1979 heralded the age of mass-market portable music. Its latest models have storage for ultrahigh-quality music files, rivaling Apple Inc.’s iPod. Hirai even gave the clearest sign yet that Sony could sell its TV operation, the main pillar of its home electronics division. Sony has already spun off the unit into a wholly owned subsidiary and has also sold its personal computer segment in a seismic shift for the group. Sony “has advanced technologies but it remains a big issue whether it can make the best use of them,” said Atsushi Osanai, an associate professor at Waseda Business School in Tokyo, referring to the company’s long-stagnant electronics operations. Some analysts say that Sony is just trying to “stop bleeding” by exiting unprofitable businesses — and that it does not have a clear idea of what it wants to be after completing the restructuring. Hirai said that by splitting off electronics units, each of them will be able to make decisions more flexibly and quickly while being more responsible for their operations. But the move also raises skepticism about whether the separated segments would still cohere with Hirai’s One Sony concept, which he introduced in 2012 in order to bring together the firm’s diverse operations, also including financial services and its movie studios. In 2013, Hirai rejected a proposal by U.S. hedge fund Third Point to partially spin off Sony’s entertainment businesses, a strong contributor to its revenue. He also underscored Sony will “invest sufficiently” in areas where it can maintain a competitive advantage and expect growth, referring to camera sensors, the PlayStation video game network and entertainment including movies and streaming music. Still, Hirai may face difficulties in leading Sony out of its loss-making cycle. The television business is likely to post its first profit in 11 years for fiscal 2014 after Sony shrank the operation and focused on high-end models. But domestic rivals such as Panasonic Corp., Sharp Corp. and Toshiba Corp. are already withdrawing from their overseas TV operations amid intensifying price competition from Asian rivals. “It’s not a business that can stably generate profits,” said a senior Toshiba official. Sony’s other challenge is in turning around its smartphone business, which has been bleeding red ink. It has repeatedly downgraded sales targets and announced job cuts. Hirai told reporters that the company will no longer pursue sales volumes in segments like smartphones, as it has suffered competition from cheaper models made by Chinese rivals as well as from industry leaders Apple and Samsung Electronics Co.
Now Sony is aiming for a group operating profit of more than ¥500 billion ($4.2 billion) by the year to March 2018, a big leap from the estimated ¥20 billion for the financial year ending next month. It also targets raising return on equity, a gauge of profitability, to over 10 percent from minus 7.4 percent. The central government is encouraging domestic companies to raise their return on equity as a way to attract foreign investment. Sony’s upbeat stance may have been helped by a recent sharp rise in its stock, which accelerated gains in Tokyo after the company upgraded its earnings forecast for the business year earlier this month amid hopes that the restructuring efforts will bear fruit. That could also mean investors are impressed by the turnaround strategy of Kenichiro Yoshida, Sony’s chief financial officer and Hirai’s right-hand man. 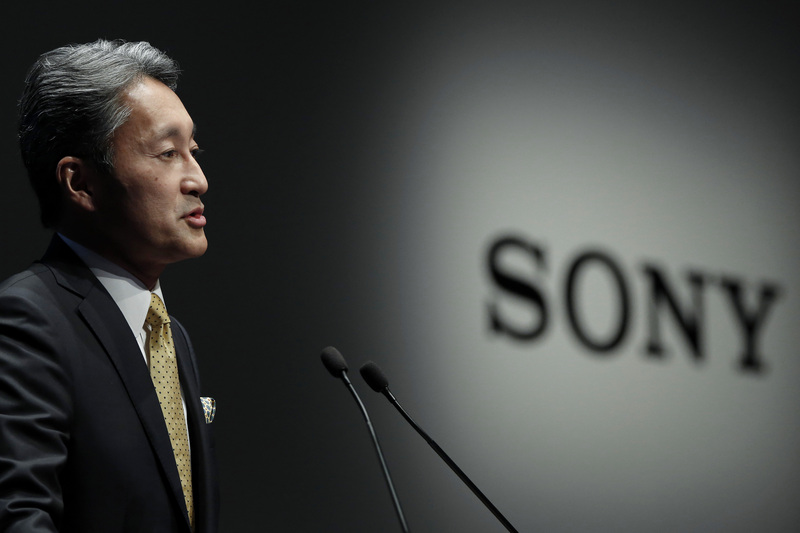 Yoshida, who is to become its vice president on April 1, is expected to continue with cost reduction and targeted expansion in Sony’s businesses. “I see the latest business plan positively,” said Koji Kamichika, an analyst at SMBC Nikko Securities Inc.